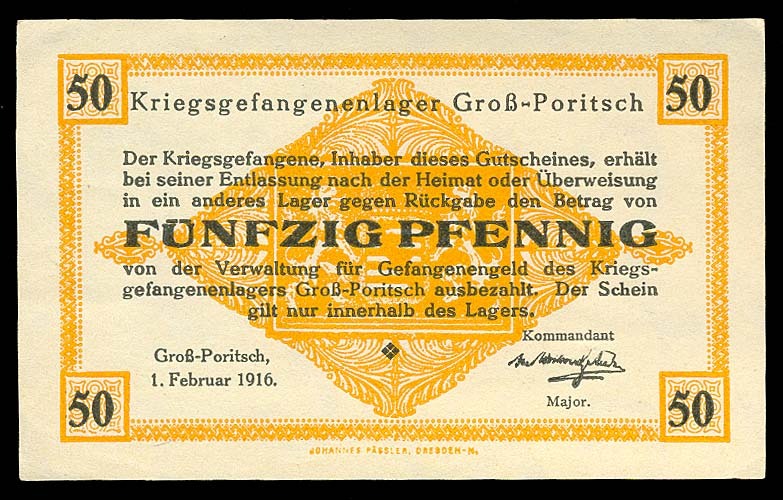 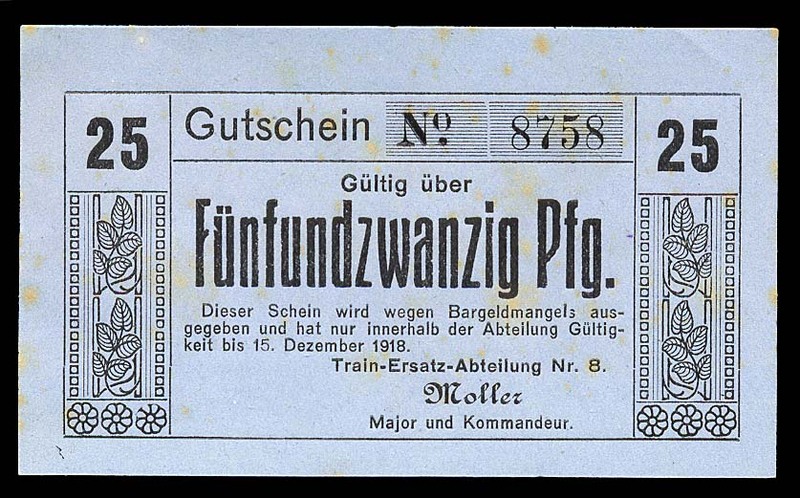 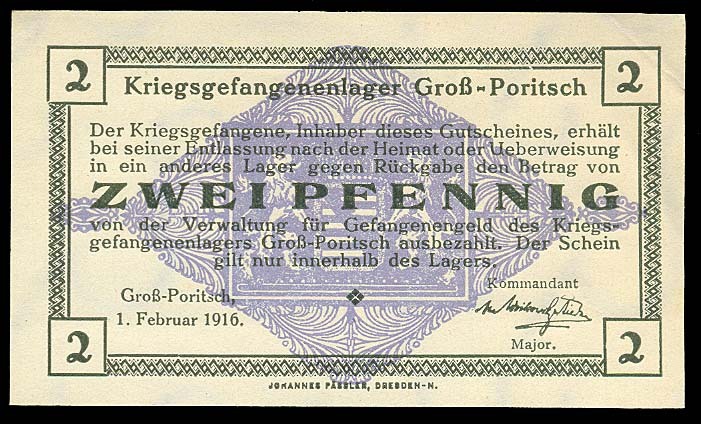 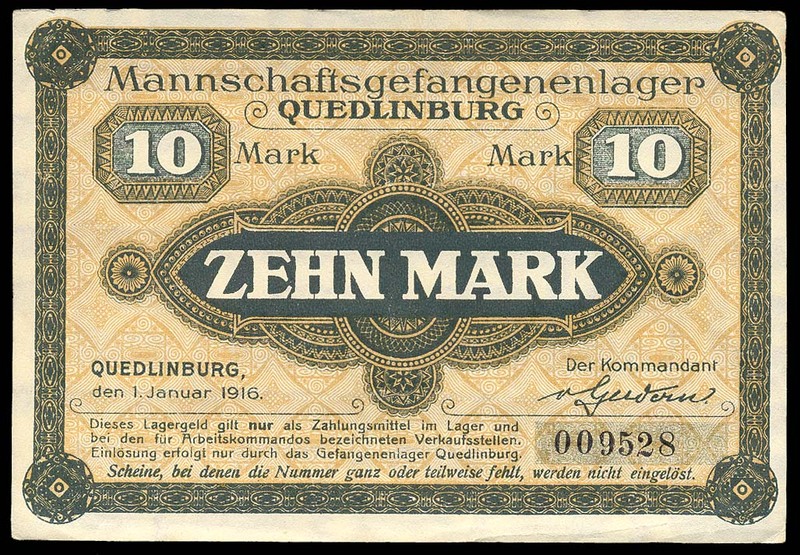 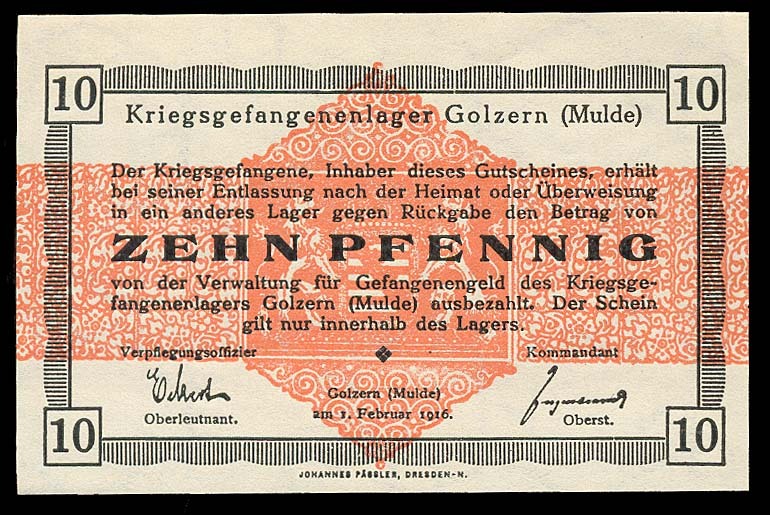 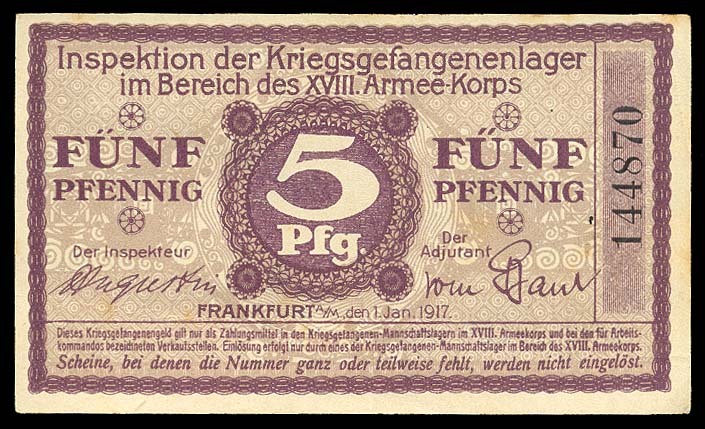 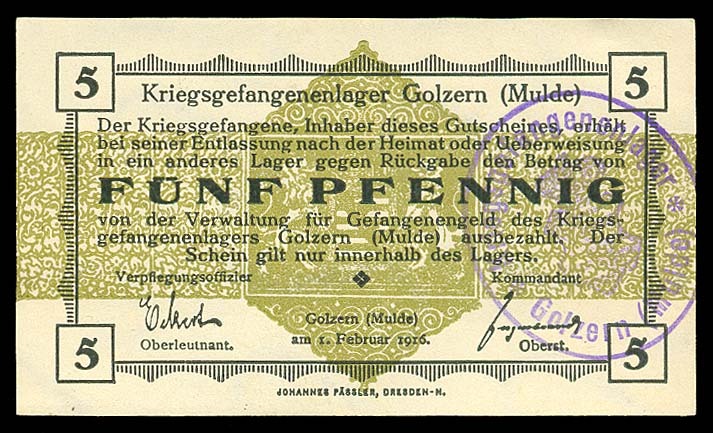 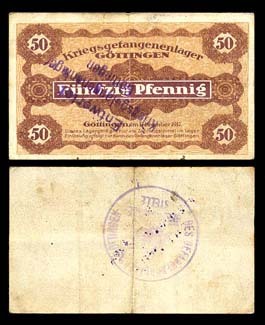 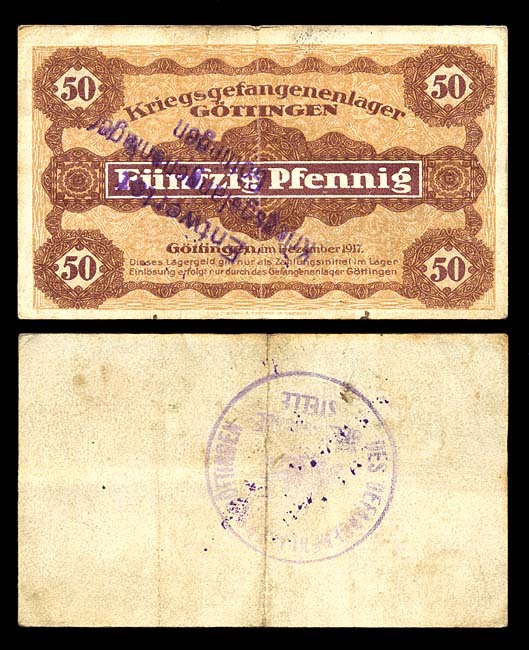 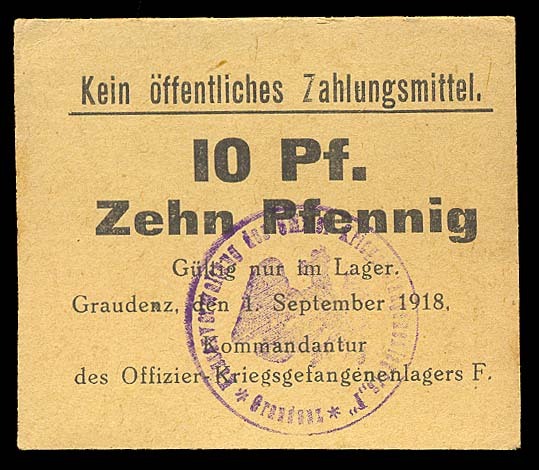 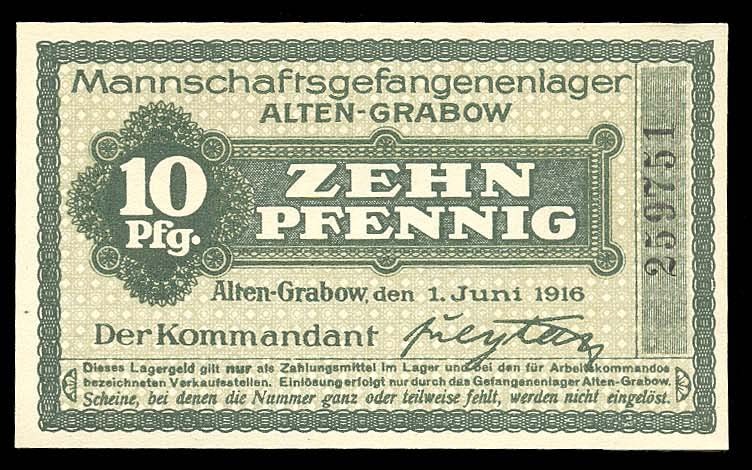 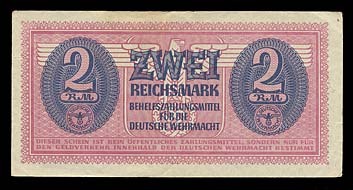 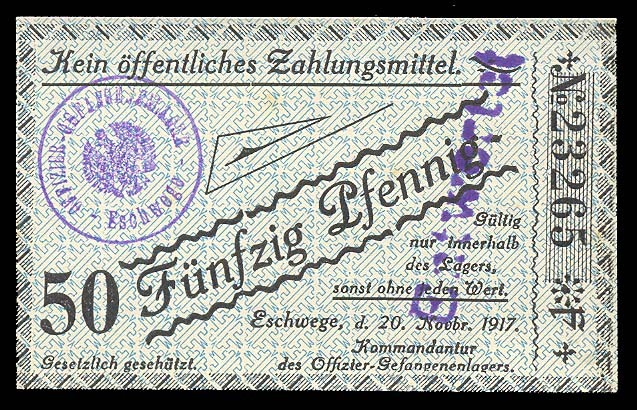 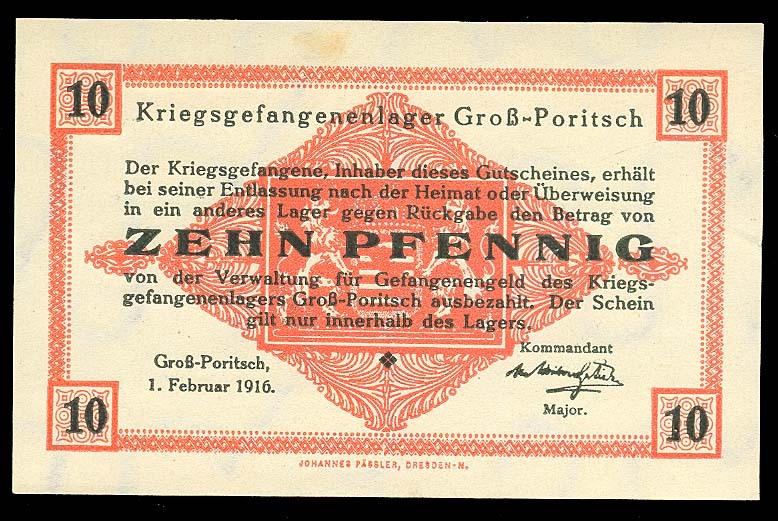 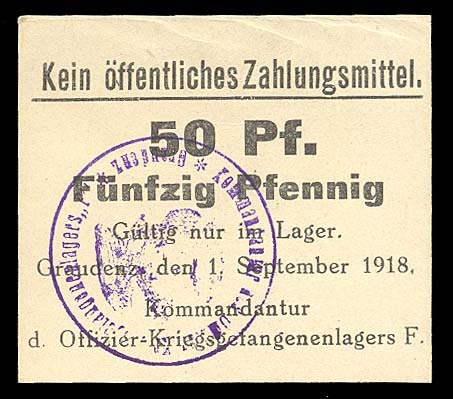 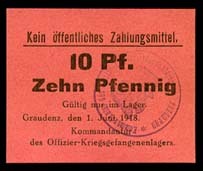 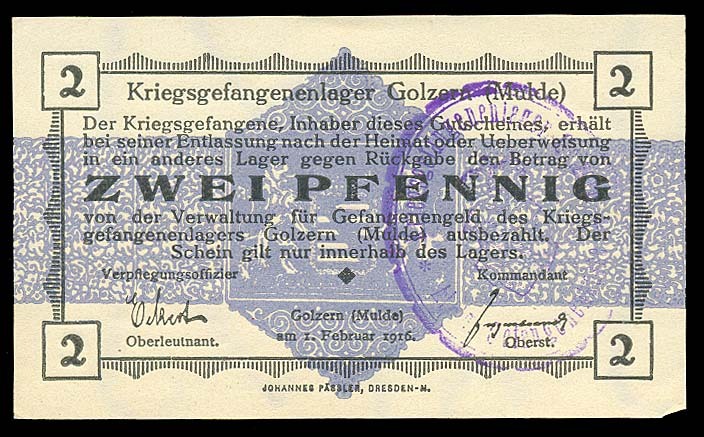 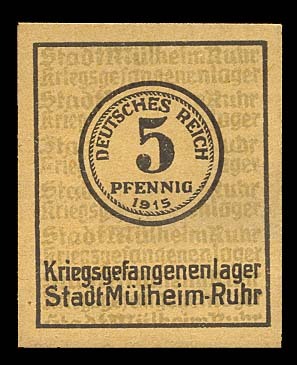 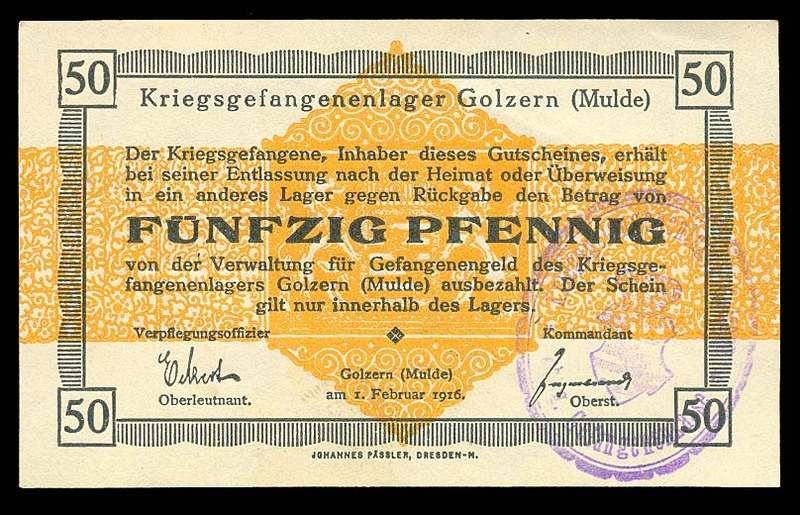 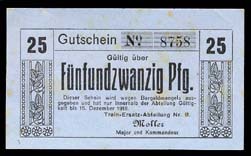 Turns out that the Germans, until the end of World War II, were rather fond of local money. 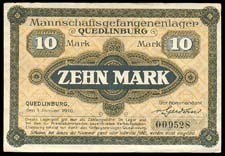 Possibly this trait was a remnant of their millennium of local coin issues. 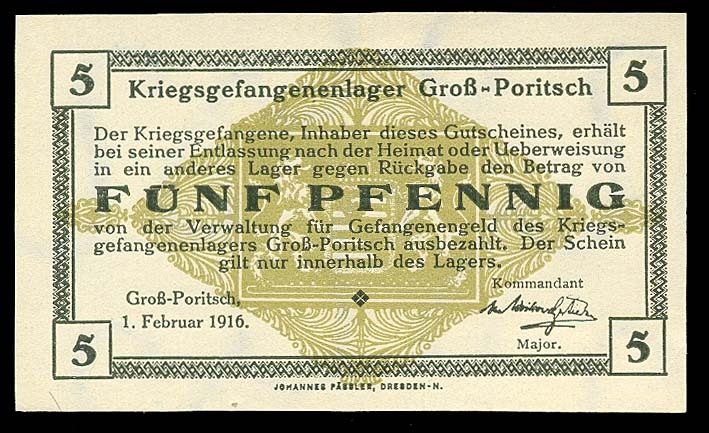 Whatever the reason, they made and used a rather extraordinary number of local and private issue tokens and paper chits. 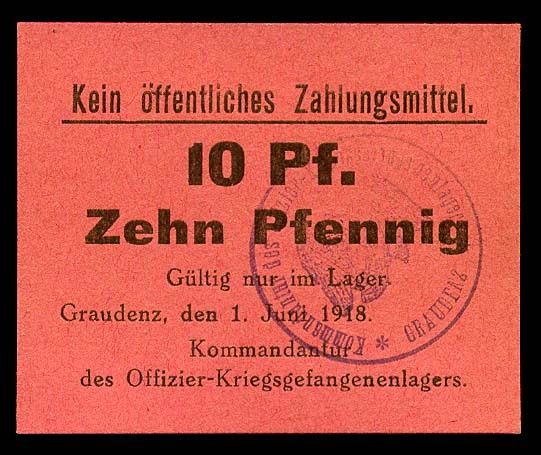 Military and prison authorities were not immune from this predeliction. 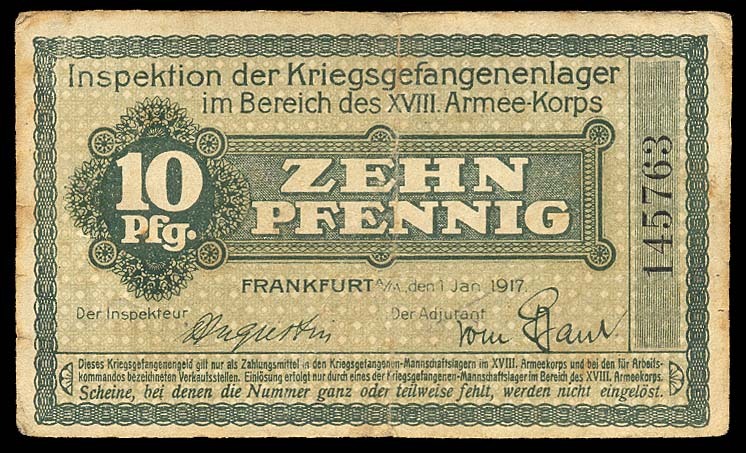 "C-#" references are from "Prisoner of War and Concentration Camp Money" by Lance K. Campbell.